PLUS Malaysia Berhad (PMB) was incorporated on 29 November 2010 and is involved in investment holding. 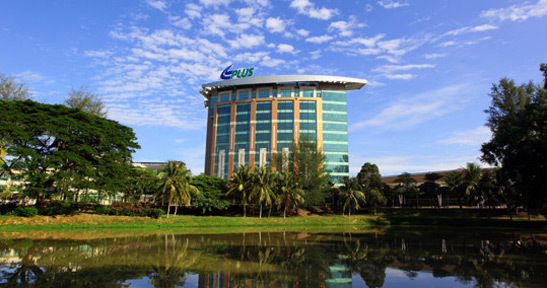 On 29 November 2011, PLUS completed the acquisition of PLUS Expressways Berhad's (PEB) assets and liabilities. Pursuant there to, PMB became the holding company of Projek Lebuhraya Utara-Selatan Berhad, Expressway Lingkaran Tengah Sdn Bhd (ELITE), Linkedua (Malaysia) Berhad (Linkedua), Konsortium Lebuh Raya Butterworth-Kulim (KLBK) Sdn Bhd(KLBK), TERAS Teknologi Sdn Bhd (Teras), PLUS Helicopter Services Sdn Bhd (PHS) and the substantial shareholder of Touch 'n Go Sdn Bhd. In addition, PMB has also acquired Penang Bridge SdnBhd (PBSB) from UEM Builders Berhad. As part of the corporate exercise, Projek Lebuhraya Usahasama Berhad, a wholly-owned subsidiary of PMB, was incorporated on 27 July 2011 to undertake the consolidation of all highway concessionaires acquired under a single entity. The acquisition of all five highway concession assets was completed on 12 January 2012. With the completion of the acquisition, PMB is the largest toll expressway operator in Malaysia and one of the largest in South East Asia.